Turkey’s biggest classical music festival begins at the end of the month, with 27 concerts staged over four weeks. Now in its 43rd edition, the theme this year is ‘Cultural Landscapes’, which is a reference to the nationalist movement that arose due to the strengthening of ties between various European countries in the 19th century, and the increasing importance of the folkloric elements in music that followed. Around 600 musicians will take part in the various concerts, which range from symphony and chamber orchestra performances to vocal concerts and recitals. Unlike the Jazz Festival – in July – which takes liberties with the way the word ‘jazz’ is interpreted (many of the musicians taking part have musical styles which span well beyond the genre), the Istanbul Music Festival is a classical music festival through and through. And unlike many other festivals in the city which stage their events predominantly around Beyoğlu, concerts take place truly all over the city, with 12 participating venues situated in Beyoğlu, Sultanahmet, Levent, Bebek, Emirgan, Yeniköy, Kadıköy, Kumkapı and even on the Princes Islands. This makes the festival more accessible to a wider audience (if you live on the Princes Islands, constantly travelling to Beyoğlu for concerts can become quite a drag). There’s plenty of interest this year. The Borusan Istanbul Philharmonic Orchestra, under the baton of Sascha Goetzel, opens the festival on May 31 with the world premiere of a composition by Hasan Niyazi Tura, commissioned especially for the festival. The teen prodigy Can Çakmur will play Shostakovich’s 2nd Piano Concerto. The following day 12 cellists from the Berlin Philharmonic perform a rich repertoire spanning Bach, Schumann, Piazzolla, Fauré, the Turkish composer Tayfun Erdem and much more. The renowned Latvian violinist Gidon Kremer takes to the stage with the Kremerata Baltica for a concert entitled ‘Seasons’ on June 2. On the 4th, the great Borodin Quartet, comprising some of Russian’s most impressive soloists, will perform a 70th Anniversary Concert with two lengthy quintets by Dvorak. Perhaps Turkey’s brightest export, the pianist and composer Fazıl Say, performs a series of ‘Mozart Marathon’ concerts on June 9, 11, 12 and 13 at different venues. Festival favourites the violist Kim Kashkashian and pianist Péter Nagy perform the Armenian composer Tigran Mansurian’s specially commissioned ‘New Opus’, as well as a selection of Armenian songs and sonatas by Bach on the 10th. The Franz Liszt Chamber Orchestra takes the stage with Turkey’s popular pianist Gülsin Onay and the trumpeter Gabor Boldoczki on the 17th. Moscow soloists Yuri Bashmet (dubbed ‘the greatest violist of our time’) and Daniil Trifonov (piano) take the stage on the 22nd. The next day, the celebrated mezzo-soprano – and true diva – Magdalena Kožená performs with Emmanuelle Haïm (harpsichord). The Deutsche Kammerphilharmonie Bremen play two concerts under the baton of the Estonian-American conductor and Grammy Award winner Paavo Järvi – on the 24th the orchestra is joined by the violinist Christian Tetzlaff and on the 25th by the pianist Lars Vogt. Another Russian viola master, Maxim Rysanov, takes to the stage with violinist Arabella Steinbacher on the 26th. The festival concludes on the 29th with the Borusan Istanbul Philharmonic Orchestra, this time accompanying the prodigal Chinese pianist Yuja Wang. The festival’s free concert series ‘Weekend Classics’ once again offers a number of excellent concerts at various venues. On June 6 the acclaimed Australian conductor and violist Simon Murphy, together with the German soprano Gudrun Sidonie Otto and members of The Hague’s Baroque orchestra, perform a programme which pays tribute to Dutch music in 18th-century Europe and highlights some of the links between Bach and Turkey. On the 14th Domo Emigrantes present folkloric music from the south of Italy and the Mediterranean. On the 20th the Minetti Quartet and soloists perform Schubert and Beethoven. For the final concert of the series on the 28th, the Semplice Quartet will play a repertoire of Mozart, Shostakovich, Turina, Balcı and Bartók in the beautiful garden of the Sakıp Sabancı Museum. If the weather is good (which it should be at the end of June), this promises to be one special event. A note on the venues. Two are in Beyoğlu – the garden of the Netherlands Consulate at İstiklâl Caddesi 197 (close to Tünel) and the red Saint Antoine Church at No 171. Plenty of very good hotels nearby, including Adahan in Pera, X Flats (both in Galata and Pera), Georges Hotel and Baylosuites, both in Galata, and the Corinne and House in Galatasaray. In Harbiye, near Maçka Park, is the acoustically excellent Lütfi Kırdar Convention and Exhibition Centre, with Swissôtel, The House Hotel Nişantaşı and Divan and Martı hotels, closer to Taksim, providing good places to stay. In Sultanahmet, concerts take place at the pretty Haghia Irene (Aya Irini), the former Justinian’s church of the Holy Peace, close to the boutique Empress Zoe, Ibrahim Pasha and Turkoman hotels. Further west in a district of Fatih, is the Holy VortVots Vorodman Church in Kumkapı. In the city’s business district, Levent, concerts take place at the İş Sanat Culture Center, five minutes from the swanky Istanbul Edition hotel. Up the Bosphorus is Boğaziçi University’s Albert Long Hall in Bebek, less than a 10-minute drive from the clubby Bebek Hotel, with its excellent bar and restaurant. Further up in Emirgan is the garden of the Sakıp Sabancı Museum, and further still, in Yeniköy, is the sumptuous Austro-Hungarian Summer Palace. The Grand Tarabya is a good option if you’re attending concerts at either of these venues. On the Anatolian side there are two concert venues: the majority of concerts take place at the Süreyya Opera House in Kadıköy, and one of the ‘Weekend Classics’ concerts takes place at the Selamiçeşme Freedom Park, nearby in Göztepe. 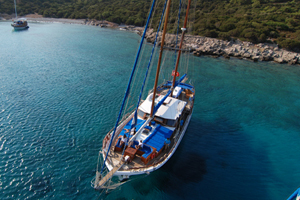 SuB Hotel, a short ferry ride away in Karaköy, and Sumahan on the Water, further north in Çengelköy, are recommended. Finally, some of the concerts take place at the Heybeliada Hagia Triada Monastery on Heybeliada, the second largest of the Princes Islands. A few minutes away by ferry, on the largest island, Büyükada, is the magnificent Splendid Palas Hotel. The festival takes place from May 31 to June 29. Tickets are on sale now through Biletix. The first three issues of Cornucopia's Istanbul Unwrapped series provide the perfect accompaniment to exploring the city in between concerts. You can order them from the Cornucopia store. Our online guide is the go-to source for recommended sights and restaurants in each area. Saturday Mass is in Italian at 19.00; Sunday Mass is 9.30 in Polish, 10.00 in English and 17.00 in Turkish; Tuesday Mass is in Turkish at 11.00; weekday Masses are in English at 8.00.